FLIK is continuing to Build Better Salads throughout the month of January with our recipe for Mediterranean Salad, Green Goddess Dressing. We’ve kept it easy by using common ingredients that are easily found on a traditional salad bar or easy to source in your home kitchen. What’s so much “better” about our Mediterranean Salad, Green Goddess Dressing? We’ve started with leafy greens, added whole grain barley, and heart healthy hard-boiled egg. There is crisp and colorful bell pepper, cucumber, and tomato, plus a bit of salty feta, and a sprinkle of crunchy chickpeas. Finally, drizzle with homemade creamy Green Goddess Dressing – lighter than traditional store bought versions. Building a Better salad has never been so easy or delicious. 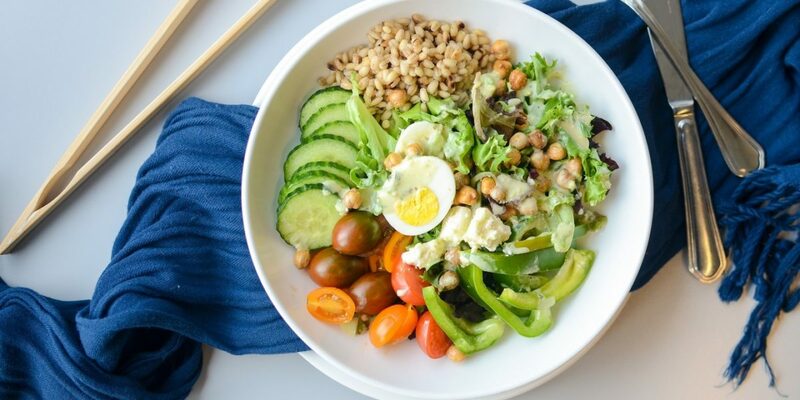 Our recipe for Mediterranean Salad, Green Goddess Dressing uses common ingredients that are easily found on a traditional salad bar or easy to source in your home kitchen. Place mixed greens in a large salad bar. 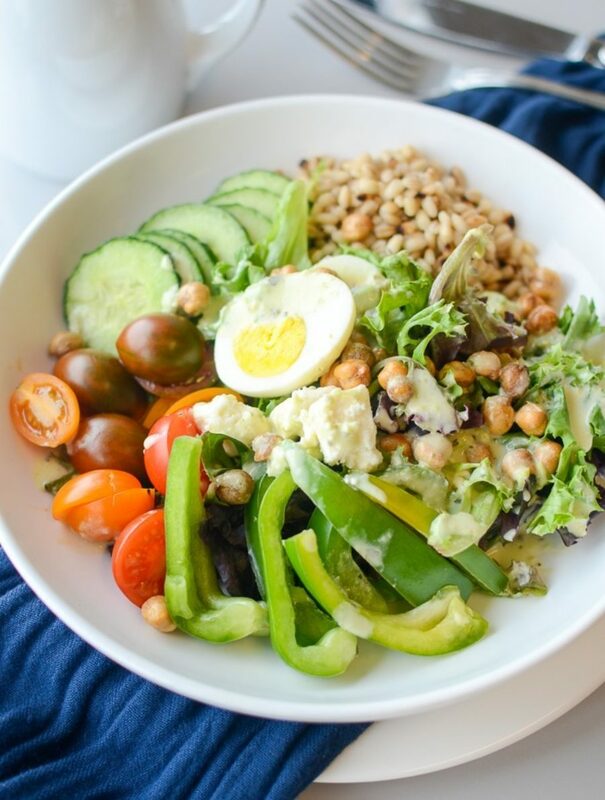 Top with bell pepper, tomato, cucumber, barley, egg, feta, and chickpeas. Drizzle with Green Goddess Dressing. Lighter than traditional store-bought versions, but definitely not skimping on flavor! Combine all ingredients in a blender or food processor and blend until smooth. Serve chilled.